A home inspector needs to be knowledgeable in everything between the foundation of a house and the roof. 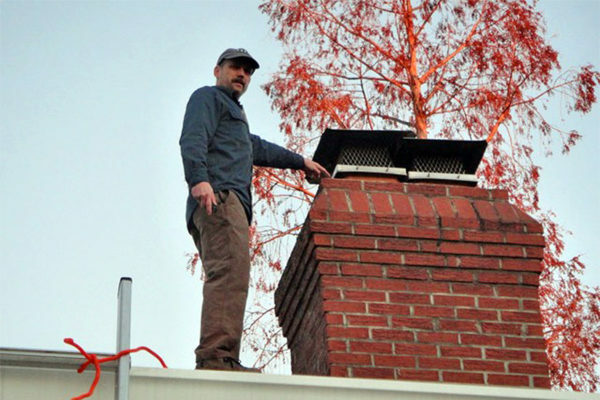 They need to be willing to cram into creepy, dark crawl spaces looking for compromising cracks, and they often need to climb onto dangerously high roofs to check chimney masonry at the topmost point, something many home inspectors decline to do. Ed Snope, the sole proprietor of Arlington’s Atlas Home Inspection, has been doing all those things, and everything in between, for three years. His business is the culmination of more than 30 years in all aspects of home building, beginning when he was a teenager learning the fine points of landscape construction with a contractor. Snope says his skills and interest in home construction “always led from one thing to another. People would ask, ‘Can you fix this?,’ and that led to home repairs.” The handyman career led to high-end house painting–which requires more knowledge and skill, not to mention effort, than most house painting–and that led to historic restoration, which found Snope expanding his knowledge about wood preservation and historically accurate construction methods. Once he bought his own 1930s Cape Colonial in North Arlington, Snope spent his time restoring his own home, after which he decided to give home inspection a try. “It’s a good way to wrap up all my experience in one package,” he says. His reputation has spread among Northern Virginia Realtors — the primary source of referrals for most home inspectors–rapidly, and after his first year his business doubled. “Things are going in the right direction,” he says. First-time home buyers — and that includes those of cozy condos as well as vast McMansions — can be forgiven if they’re not sure what a home inspection entails, or why to even bother with one. In short, once you make an offer on a house, the buyer needs to be certain there are no structural surprises to deal with once the sale closes. A home inspection report will detail everything the buyer needs to know about the house’s and the appliances’ deficiencies and strengths. If a problem is significant, the buyer may be able to negotiate with the seller to repair it or pay for the repair before closing. Snope also instructs the buyer on how to operate the house — “I show them shut-off valves, safety disconnects, how to operate the equipment” — as well as pointing out major or minor defects. “I’m looking for safety issues, proper installation and energy efficiency,” he says. Realtor Betsy Twigg has an additional word: “Ed is very ‘conversational.’ He explains things to people very well so they really understand things,” the Arlington McEnearney Associates broker says. “Many have no idea how to take care of a house, or how a house is put together. Ed explains exactly what they should be concerned about and what not. Of all the crawl spaces and roofs he’s explored for clients, Snope has seen a wide variety of anomalies, but there’s one that stands out. Vultures. Yet another reason to get a home inspection. The preceding was a sponsored local business profile written by Buzz McClain for ARLnow.com.